Initial services included online coaching and one group swim per week. A huge challenge was finding pool space (still can be quite hard!) and I remember how exciting it was successfully securing two lanes from 9-10pm, one night per week. Had no idea if people would be willing to swim that late at night. Fortunately, they are! LYNX swim sessions are quite popular now and offered almost every day of the week with both morning and evening options. 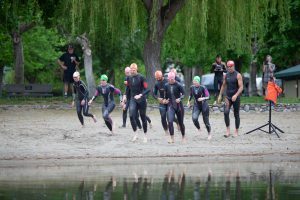 See how we’ve grown – complete swim schedule can be found here. 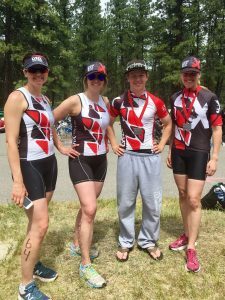 My own training and racing was on a back burner. 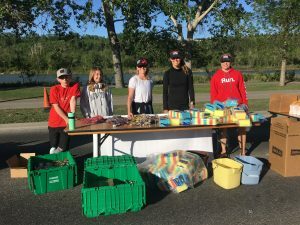 I would sometimes compete but more often I was at races supporting my coached athletes while also promoting the business by donating prizes and my time as a volunteer. Turns out this was a very smart decision because it was at one of these events back in 2013 where I first met my future business partner and assistant coach, Karleen. 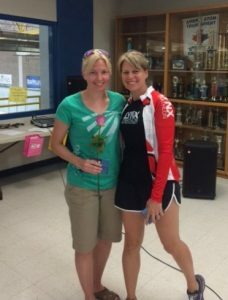 The photo below was taken in 2014 at the Strathmore Women’s Triathlon when Karleen was one of my coached athletes. One of the most important aspects of the club, when it was created, and still today, is to foster a community among its members and to connect great people with other great people. The LYNX tag line “Swim. Bike. Run. Connect” captures this sentiment. There has been great success in this area and it makes us feel so fortunate. The club is great because of all of its club members and friends and promotors. 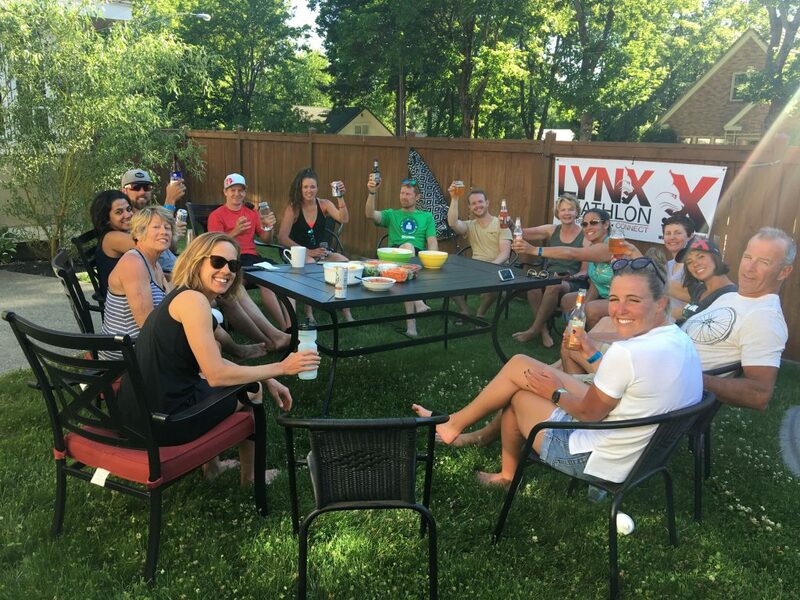 In addition to group swims, rides and runs, LYNX has run a variety of training camps connecting like minded athletes in social settings. Check out details about our upcoming Oliver Training camp here and stay tuned for details about a one day camp in Calgary in May. 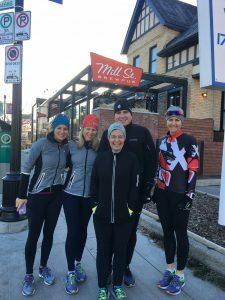 It’s so much fun training and racing with others and each year we designate club races where LYNX club members know they will see familiar faces on course. 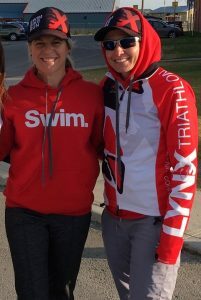 This year there will again be a nice LYNX contingency at Ironman 70.3 Coeur d’Alene and at Ironman Mont Tremblant and we will be back to man an aid station on the Scotiabank Calgary Marathon course. Come join us, all are welcome! Our intent is to continue on our current trajectory of connecting people within the club as well as within our local community. We cherish our relationships with other local businesses as we support one another offering the best resources and services to our clients. We want to continue to grow. Watch for more swim services including full day swim clinics, and possibly swimming vacations. Who knows, swimming vacations could lead to channel swims either solo or relayed. Training and racing together will continue as we all celebrate our passion for the sport. If you are still reading then you deserve a birthday treat! Book a private swim or video analysis/stroke correction session during the first 7 days of April and receive 10% off. 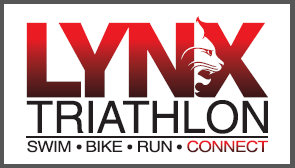 Contact us at coaches@lynxtriathlon.ca and mention birthday promo when booking your session.